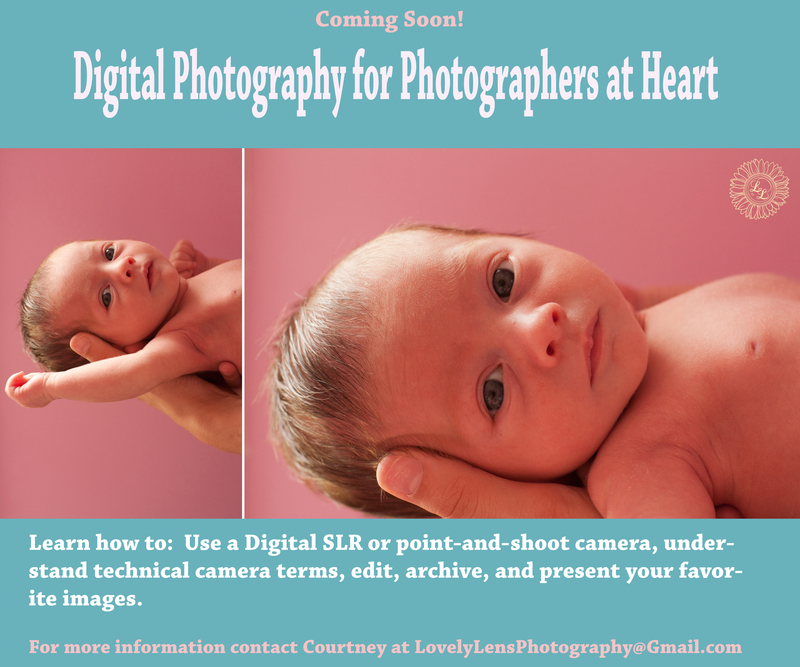 Coming this August to Bel Air, Maryland: Lovely Lens Photography will be conducting a digital photography workshop for beginners. This workshop covers all of the basics on how to use your camera, understand how your camera works, take better family photos, and how to edit and archive your favorite images. This weekend long workshop is only $400 per person and includes lunch both days and covers everything you need to know about digital photography and taking stronger photographs for your family albums. Come prepared with your camera and questions! More information will be coming this July. There are only 10 spaces available. E-mail me at LovelyLensPhotography@gmail.com to hold your place or for more information about the workshop.